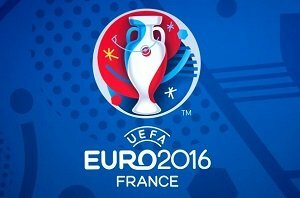 The European Football Championship 2016 will be the first year in the entire history of FIFA, when a brand new format is introduced. The new format of the European Football Championship 2016 will cover twenty four teams rather than the traditional format that consists of sixteen team and that has been successfully applied since Euro 1996. According to the new format of the European Football Championship 2016, the qualifying round will comprise six groups, each with four teams and this will be followed by a knockout stage with three rounds and the final. It is important to mention that France is the host of the European Football Championship 2016. This means that this country has automatically been qualified for the for the final tournament whereas the other participants (fifty three European counties) will be required to compete in order to secure the remaining twenty three places in the qualifiers running. This phase will last from September 2014 to November 2015. Their first appearance within the Europeans qualifiers will take place on Gibraltar. The basic idea behind the brand new format of the European Football Championship 2016 was, first of all, to encourage more and more teams to take part in competition and to increase the competitiveness as it is. Having conducted a thorough research on the European Football Championship 2016, I have pointed out that there are basically top five countries that will more likely make their debut at the championship. To my personal viewpoint, these countries are the following: Bosnia, Slovakia, Iceland, Israel and Serbia. Without a doubt, introducing more and more teams into the European Football Championship 2016 has caused more criticism. The solid argument is that more football teams lower the overall standards by providing the lower ranked players with an opportunity to feature. Particularly, all the football fans could witness a surprise visit from San Marino! This is the team that has lost 118 games out of 124 battles in international football, scoring not more than 20 goals since 1990. France was chosen as the host country for the European Football Championship 2016 in May 2010 as the team victoriously romped with forty three votes beating their opponent (Turkey) in second with thirty eight votes as well as Italy with twenty three votes. Talking about the other innovations that the European Football Championship 2016 will bring, it’s worth noting that the matches will be played in nine cities in ten phases: Lyon, Lens, Bordeaux, Lille, Toulouse, Nice, Marseille, Paris and Saint-Etienne. It will be the third time throughout the history that France will be the host for the tournament after 1960 and 1984 finals. If you take a look back to the past years, you will find out that this country have successfully won the European Football Championship two times: in 2000 and 1984. According to the rules of the European Football Championship, the host always plays the very first match. This time the battle will be held on June 10, 2016 with the final taking place on July 10, at Saint Denis. The teams that will become the winners of the European Football Championship 2016 will be provided with automatic qualification to become the participants of the 2017 FIFA Confederations Cup. The Cup will be hosted by Russian Federation and will be a so-called warm-up for the World Cup 2018.